Created in the 1930s, the mission of the Westchester County Planning Department is to develop and implement policies, programs, and projects that protect and improve the quality of life in Westchester County and result in more livable and sustainable communities. Although there are not many series that currently make up this record group, those that exist document, though Planning Board minutes, how the department carried out its mission from the late 1930s through the early 1970s; as well as some specific records relating to a few growth issues within the county, such as the construction of Interstate 684 during the 1960s. 3.33 cubic ft. Arranged chronlogically. Outgoing copies of letters, memoranda, and reports sent by the Westchester County Planning Department staff to Westchester County city/town/village mayors, county and state agency heads, Congressional representatives, leaders of local, state, and foreign business firms, and the general public. Topics covered include: public notices on hearings; reports on zoning ordinances; water quality and the Blind Brook watershed; the 1970s fiscal crisis and energy conservation programs; programs seeking federal and state funding; planning for the Westchester County Airport; housing and urban development and census data collection; the Westchester County Industrial Development Agency (WDICA); and collaborative efforts with other county agencies such as the Westchester County Parks Department and the Commission on Soil and Water Conservation. Routine memos on office procedures, personnel issues, position inquiries and internships can also be found. Correspondents are primarily Peter Q. Eschweiler, Commissioner of the Planning Department, Joseph Potenza, Deputy Commissioner, John M. Levy, Director of Research and Economic Development, and various planners and assistants. Serving in a clearinghouse function, a large volume of the correspondence is letters sent to town or agency officials about the Planning Department’s review of applications to grants-in-aid programs. Monthly reports to the County Executive Albert B. DelBello provide status reports on the Planning Department’s activities and projects. Each folder in this series includes an index of letters for the month by recipient, initials of Planning staff sender, and date of letter. Not all letters in a folder are listed. Missing from this series are September 1978 and December 1978 folders. This series was also known as the “Blue File,” due to the color paper used for the copies. Related records: Series 22, Planning Board Minutes, 1939-1983; Series 321, Planning Department Correspondence, Memos and Speeches, 1944-1971; Series 338, Planning Board Meeting Materials, 1939-1992 (bulk 1969-1992). 1.45 cubic ft. Arranged chronologically. Mimeographed copies of reports, speeches, letters and memos, staff biographies, news releases, and reference materials, such as bibliographies, pamphlets, reprints of articles, legislative bills, and court cases. The materials in the earlier years, 1944-1954, were primarily used for a local planning study course conducted by the Planning Department. An item found in the first folder of this series is a 1922 copy of an address entitled “The Need for a Plan for Westchester County” by Thomas Adams, English and Canadian Town Planning consultant, distributed to study course attendees. Post-1954 materials cover topics such as parkways, highways and thruways including the proposed Interstate Highway 87; suggested charter revisions for the Department of Planning in 1959; a proposed local zoning action (Van Lare Act, Chapter 1041, Laws of 1960) and its impact on Westchester County municipalities; memos and draft reports on County development plans; studies on locating a community college site; procedures for applying for a federal grant under the Title VII Housing Act of 1961; park and recreation land acquisition by the County; analysis of the Cross County Shopping Center in Yonkers; data on population census and distribution by municipalities; and office procedures during the late 1960s transition of Planning Department administration. The files for this series were created during the administration of three commissioners of the Planning Department: Hugh R. Pomeroy, Sy J. Schulman, and Peter Q. Eschweiler. Annual messages and memos by County Executive Edwin G. Michaelian are included as well as copies of the minutes of the Board of Supervisors for the Westchester County Department of Planning and correspondence and press releases of Governor Nelson Rockefeller. Speeches of Sy J. Schulman are filed separately as originally found; however, copies of his speeches and of other county officials and Planning staff can also be found in folders throughout the series. The series were originally filed in three-ring binders, labeled Mimeo Materials. Each folder in this series, except for the years 1944-49, 1950-51, 1963, and 1968, includes an index of materials for the month providing a code/number, name of item, and date of item. Related records: Series 22, Planning Board Minutes, 1939-1983; Series 317, Planning Department: Correspondence and Memos, 1976-1978; Series 338, Planning Board Meeting Materials, 1939-1992 (bulk 1969-1992). 2.16 cubic ft. Arranged chronologically in two subseries. Copies of letters and memoranda from 1985 and 1986 sent from Westchester County Planning Department employees to fellow staff members, businesses, other departments and private citizens throughout the county. The correspondences are primarily, but not exclusively, written by Peter Q. Eschweiler, Commissioner of the Planning Department, and Joseph R. Potenza, Deputy Commissioner. This collection covers a variety of topics relating to planning including program requests, land purchases, rezoning, permit requests, census projects, contracts, notices of hearings, and equipment purchases. There is also material relating to employment opportunities, interns, planning board meetings, and programs for employees. Each monthly folders contain an index listing the correspondence recipient and sender’s name and date. The index for September 1986 is not included. Beginning in April 1986 the index contains the name of the recipient, sender’s initials, date and a brief subject line. This collection also contains Quarterly Progress reports from 1983-September 1986 (minus the second quarter of 1986). These tables contain project descriptions, the personnel associated with the project, date started, estimated completion date, percent completed and milestone descriptions. For most projects, not every category is complete. Related records: Series 317, Planning Department Correspondence and Memos, 1976-1978. Files, correspondence, reports, memos, minutes, clippings, photographs, slides and audio tapes kept by the Commissioner of Planning, who served as Secretary to the Courthouse Development Committee. Also included are design proposals by various architects, including Welton Becket, selected to design the present courthouse. This collection also contains records collected before the official formation of the Committee which met between 1961 and 1967. Related records: Series 151, Court Administration Facilities Records, 1959-1977. 12 cubic ft. Arranged alphabetically by city/town/village, and then street. Registration form for New York State Parks and Recreation, Division for Historic Preservation for Westchester County. Forms include identification of building by name, address, owner; use and accessibility to public; description by building material, structural system, condition and integrity; and notes of additions and changes. Photograph of house usually included as well as indication of property on map of town or village. Houses are included for many communities within Westchester County (although by no means all the houses within each community). However, White Plains and majority of Yonkers are not included at all. An online folder index is available for this series. Less than 1 cubic ft. Arranged chronlogically. Correspondence documenting the establishment of a Westchester County Historic Records Advisory Committee. Issues covered include plans to survey all county government records, grant submission to National Historical Publications and Records Commission for planning support, and plans to hire a permanent archivist for the County. 1.40 cubic ft. Arranged chronologically. Correspondence, memoranda, legal briefs, maps, hearing transcripts, and newspaper clippings maintained by the Commissioner of Planning which document controversy surrounding the location of Interstate 684 in the 1960s. The Planning Department took a position against the route selected by the Federal Government and in 1967, Commissioner of Planning Sy Schulman appeared in litigation over the intended route. 17 items. Unarranged. View box and folder list. Maps and atlases created by the Westchester County Department of Planning. This series includes a group of 48 maps from a book distributed by the Planning Department in 1944 to members of the Board of Supervisors, County officials and officials of cities, towns and villages in Westchester County with maps of local municipality and county-wide maps showing such things as sewer districts, topography, tax exempt properties, population distribution, and transportation routes. Other maps in this collection have been created by the Planning Department over the years and similarly visually display Westchester municipalities and/or various themes in Westchester’s growth and development. Each map in this collection is indexed in the Archives’ in-house Maps Database, and an atlas of County Owned Property from the 1940s/1950s has been digitized and is available online. 22 cubic ft. See series description below for arrangement information. View box and folder list. Original deeds for property obtained by Westchester County for construction of parks and parkways. Some deed folders contain additional documentation regarding the transfer of the property to Westchester County, such as a title insurance policy. Also includes some easements and license agreements. Deeds are arranged in numerical order, first by those for the Bronx River Parkway, then for all other projects. The deeds for the Bronx River Parkway are indexed by a set of 3x5 cards also included in this series, organized by (1) file number, (2) location of property, and (3) name of grantor. The cards include the deed number, recording date, and cost information, among other things. The Archives hopes to eventually create an electronic index to all the deeds in this collection. For a numerical listing of the deeds, see Series 382. 8.5 cubic feet. Arranged chronologically. This series primarily consists of packets prepared for use by the members of the Westchester County Planning Board for their meetings during the period 1969-1992. Most packets include a meeting agenda, previous meeting minutes, announcements, progress reports, and capital project reports. Some of the materials have handwritten notes and marginalia from Commissioner of Planning Peter Q. Eschweiler. In addition, this series includes five spiral bound note books with Eschweiler’s personal notes taken during Planning Board meetings, from 1977-1991, as well as one folder with various meeting minutes, agendas and schedules for the County Planning Commission from 1939-1957. The materials in this collection were donated to the County Archives by Commissioner Eschweiler. Peter Q. Eschweiler came to Westchester County in March 1960, following his release from active duty with the United States Air Force. He joined the staff of planning consultant Frederick P. Clark, where he worked as a staff planner. His duties included assisting the local planning boards in various Westchester municipalities, including Cortlandt, Bedford, New Castle, and Pound Ridge. By 1967, Eschweiler joined the Westchester County Department of Planning as the Chief Planner, and a year later became the department’s Deputy Commissioner. In February 1968, when Commissioner Sy J. Schulman left the department, Eschweiler served as Deputy in Charge of the Staff. In March 1969, County Executive Edwin Michaelian appointed Eschweiler Commissioner of Planning, a position he held until his retirement in 1991. 2.17 cubic feet. Arranged chronologically. Official minutes of the Board which was created in 1939 to formulate and recommend major development policies, to report on the physical planning aspects of annual departmental capital projects requests, to advise municipalities on local planning and zoning matters, and to advise the County Executive and County Departments on development matters. Related records: Series 163, Pforzheimer Papers: Planning Commission Records, 1929-1956; Series 338, Planning Board Meeting Materials, 1939-1992 (bulk 1969-1992). 32 cubic feet; 14 volumes. Arranged alphabetically in 16 subseries. View box and folder list. Peter Q. Eschweiler came to Westchester County in March 1960, following his release from active duty with the United States Air Force. He joined the staff of planning consultant Frederick P. Clark, where he worked as a staff planner. His duties included assisting the local planning boards in various Westchester municipalities, including Cortlandt, Bedford, New Castle, and Pound Ridge. By 1967, Eschweiler joined the Westchester County Department of Planning as the Chief Planner, and a year later became the department’s Deputy Commissioner. In February 1968, when Commissioner Sy J. Schulman left the department, Eschweiler served as Deputy in Charge of the Staff. In March 1969, County Executive Edwin Michaelian appointed Eschweiler Commissioner of Planning, a position he held until his retirement in 1991. Immediately upon his retirement, and again in 2000, Eschweiler transferred records from his time in government service to the Westchester County Archives. The bulk of these records cover his tenure as Planning Commissioner (1969-1991) although some predate even his time in Westchester County (pre-1960). The materials in the collection range from informal notes to final publications, including many reports prepared by third-party consultants, and are arranged alphabetically into sixteen subseries. See the complete finding aid for a full description of each subseries and the specific time period covered by each. Published articles by and about Hugh R. Pomeroy, Westchester's Commissioner of Planning from 1946 to 1961. Many of the articles discuss the problems of communities in the New York City Metropolitan area (and include planning documents for them), while others focus on zoning topics. 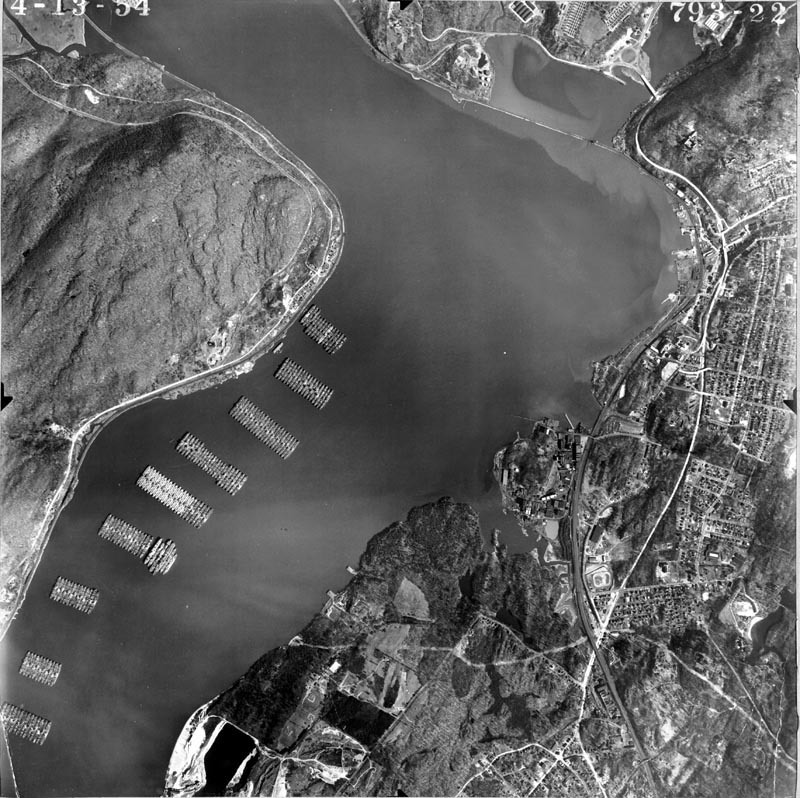 Although many of the articles deal with abstract planning topics, for example, "Planning as a Practical Function of Borough Government;" some deal with Westchester-specific subjects, such as highway development in the area, such as the Tappen Zee Bridge and Interstate 684. Some of the documents are annotated by Mr. Pomeroy. There are also three articles in the collection regarding the selection of Manhattan as the headquarters for the United Nations.